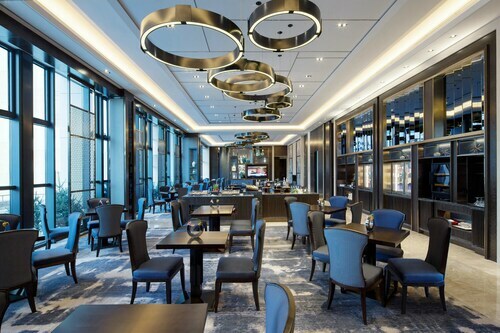 Located in Beijing Central Business District, this luxury hotel is 0.3 mi (0.5 km) from Silk Street Market and within 3 mi (5 km) of Sanlitun and Wangfujing Street. Tiananmen Square and Tiananmen are also within 3 mi (5 km). Yong'anli Station is 7 minutes by foot and Guomao Station is 9 minutes. 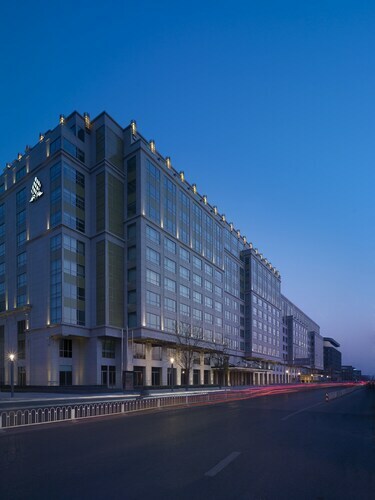 Ideally situated in the midst of Beijing’s financial district, with access to major corporate headquarters, the hotel is just minutes from cultural icons such as The Forbidden City and the capital’s finest shopping and entertainment districts. 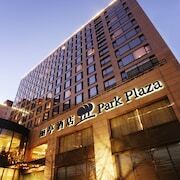 Located in Downtown Beijing, this hotel is within a 10-minute walk of Dong Hua Men Night Market and Wangfujing Street. Forbidden City and Tiananmen Square are also within 1 mi (2 km). Dengshikou Station is 12 minutes by foot and Dongsi Station is 14 minutes. 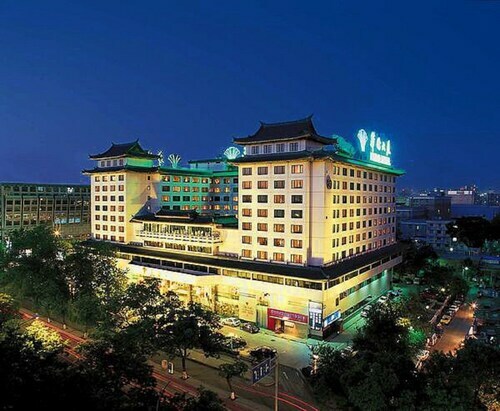 Located in Xicheng, this hotel is within 1 mi (2 km) of Tiananmen Square and Tiananmen. Temple of Heaven and Wangfujing Street are also within 2 mi (3 km). 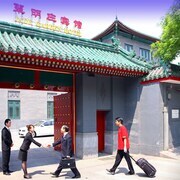 Qianmen Station is 7 minutes by foot and Tian'anmen East Station is 20 minutes. 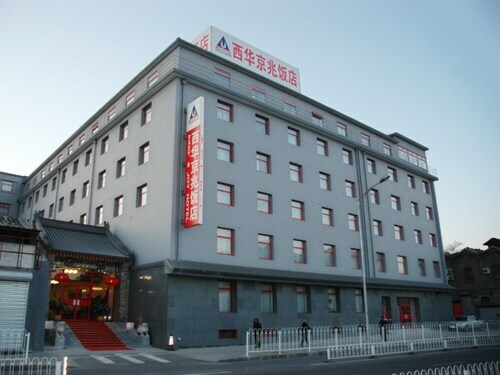 This hotel is located in Beijing (Chaoyang), close to Lady Street Market, Sanlitun, and National Agricultural Exhibition Center. 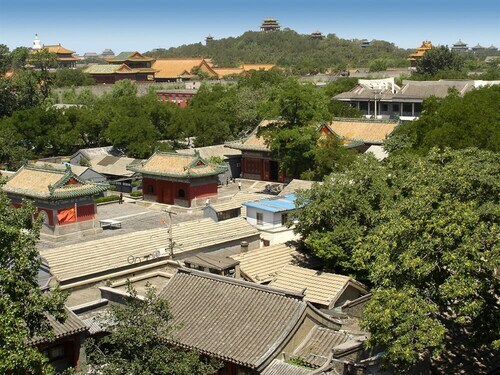 Local attractions also include Yonghe Temple and Nali Patio. 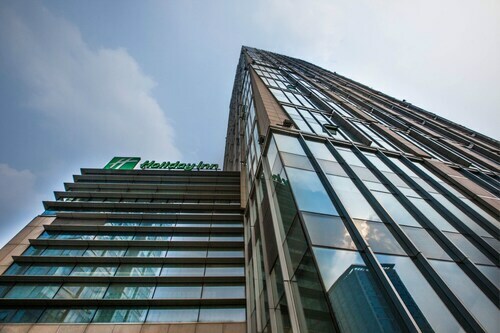 Located within the Wangfujing shopping district and surrounded by many tourist attractions, this two-tower hotel is a less than two kilometer from the Forbidden City, China Museum of History, and Tiananmen Square. 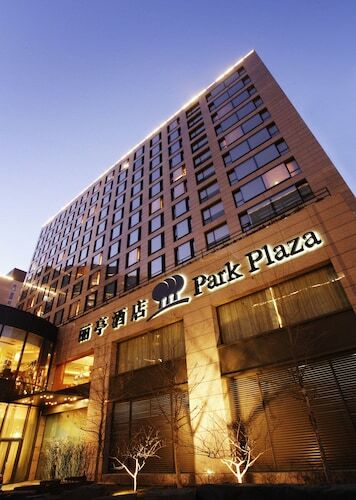 Located in Chaoyang, this luxury hotel is within 3 mi (5 km) of 798 Space, Lady Street Market, and National Agricultural Exhibition Center. 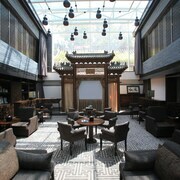 Sanlitun and Nali Patio are also within 6 mi (10 km). 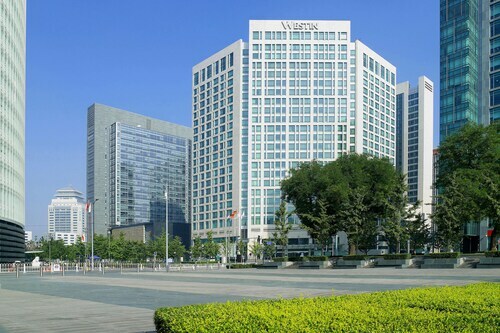 Located in Beijing Central Business District, this luxury hotel is within a 10-minute walk of Temple of the Sun and Sanlitun. Wangfujing Street and Tiananmen Square are also within 3 mi (5 km). Jintaixizhao Station is 19 minutes by foot and Jianguomen Station is 23 minutes. 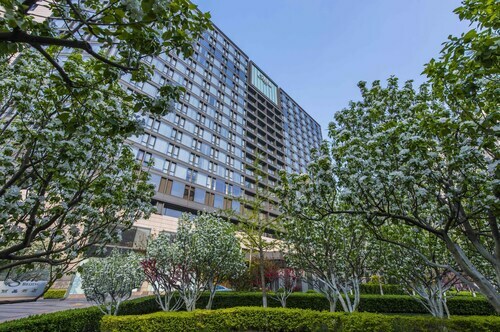 Located in Downtown Beijing, this luxury hotel is within a 10-minute walk of Beijing Qianmen Street, Beijing New World Shopping Mall, and Beijing Shengmi E'er Catholic Church. Soshow and Tiananmen Square are also within 1 mi (2 km). Chongwenmen Station is 10 minutes by foot and Wangfujing Station is 15 minutes. How Much is a Hotel Room in Beijing? 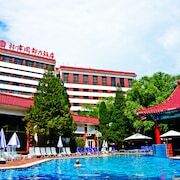 Hotels in Beijing start at C$54 per night. Prices and availability subject to change. Additional terms may apply. Welcome to Beijing, the humming metropolis at the heart of China. With three millennia of history, a population of more than 21 million, and no fewer than seven UNESCO World Heritage sites, it isn't surprising that this colossal city attracts so many tourists. You could fill weeks and weeks with all there is to do; how will you ever narrow down the list of restaurants, activities, and hotels in Beijing? Fear not – Travelocity can help you find the best Beijing package deals so that you can devote more time to deciding how to spend your incredible vacation in Beijing! Explore Beijing's imperial history with a visit to the Forbidden City, where you can explore the exquisite treasures housed within the Palace Museum. Just south is the historical Tiananmen Square, which contains the Monument of the People's Heroes and the Memorial Hall of Chairman Mao. To the east and west are the National Museum of China and the Great Hall of the People. You could be occupied here for hours! 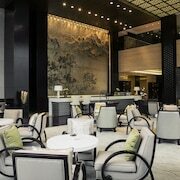 There are countless phenomenal Beijing hotels in the area, so there's no rush. Take your time exploring before freshening up and heading out to dinner and perhaps a show at the Chaoyang Theater. China is a massive country with diverse cultural and ethnic roots, and you can expect the same from its cuisine! There's so much to try, and it's hard to go wrong, but the Peking duck (a national dish), jiaozi (dumplings), and Mapo tofu are a good place to start. If you're feeling adventurous, how about a fried scorpion on a stick? Test your culinary mettle on the various dubious yet surprisingly delicious offerings to be found in street markets such as Donghuamen Night Market. Ready for your Beijing adventure? 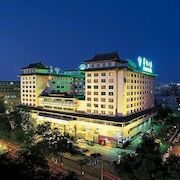 Get mobile exclusive deals on the Travelocity app, where you can find the best Beijing hotel deals and cheap flights to Beijing. The staff was terrific. Every encounter I had with an employee was positive...everyone tried hard to make sure I had a great visit. Staff were very polite and quick to respond to service requests. Exceptional staff and excellent accommodations. Close to Forbidden City and Tiananmen Square. 1.0 Not Happy and Angry Customer! 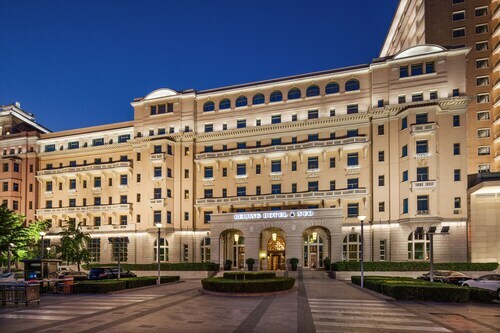 One thing I noticed about this Hotel when I booked my tour to visit The Great Wall of China, The front desk attendant referred me to the concierge and they made phone calls. They told me that the charges are 600rmb each for the entire tour including everything. I agreed to pay 1200RMB for two. They told me to be ready at 730AM the tourist guide showed up at 830AM with so many reasons. The tourist guide asks for an additional 150rmb each for the cable train to take us to the top of the Great Wall. I told her that I already paid 1200rmb for everything and she said my hotel is far I need to pay extra 250rmb to pick up us. I asked the other tourist in the Van they only paid 300rmb each plus the 150rmb for the cable train and their Hotel is only 15 mins away from ours. The total amount they paid each is about 450rmb each. I and my wife paid 1500rmb. After the Tour I talked to the front desk about the situation they made phone calls ...but who cares they speak in Mandarin... I had no clue what they talking about. I end leaving so disappointed. 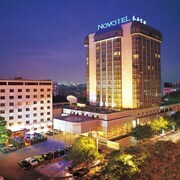 Hotel was very big with multiple sections. Lobby was nice but hallways had a strange musty odor and had chipped paint and cracked wood work. Disappointed that breakfast was not included and pool was unpleasantly cold and hot tub was not hot at all! Overall not worth the price tag as I’ve stayed at another hotel that was even nicer that includes breakfast and location was also nice for much less money. On a positive note, very close to Tianemen Square/ Forbidden City and nice mall right around the corner.